Finally! 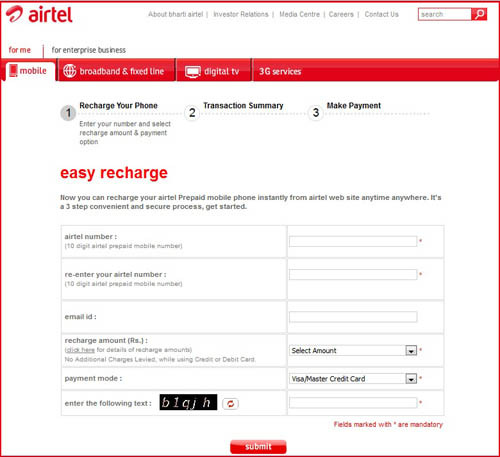 Airtel, the largest telecom operartor in terms of number of subscriber in India has announced that its subscribers can now recharge their mobile numbers on airtel.in. Karnataka subscribers of Airtel are already using this service from sometime now, and now its available for entire country. Airtel also offers 5% cash back on transactions done with VISA Debit Card.